So, I was making a ton of progress on my olive Minoru last weekend. The jacket is ripstop olive cotton, interlined (for warmth) with a forest green flannel. I primarily basted the interlining (flannel) to the fashion fabric (ripstop) with my machine, but for the large back pattern piece, I decided to use some silk thread and hand-baste the middle of the flannel to the ripstop. Anyway, I called my dealer and ended up schlepping the machine out to the suburbs for repair. I was hoping to pick my machine up yesterday, but they needed to order yet another part. So it will probably be another week. I DO have (ahem) 2 back up machines…. and I got one of them out to work on some other projects, but it’s just not the same. I will try not to whine, but it is a little ridiculous how much I miss the Pfaff!!!! I have been trying to cope by cutting out new projects and getting things ready to go. I’ve also done a little weaving and knitting…. 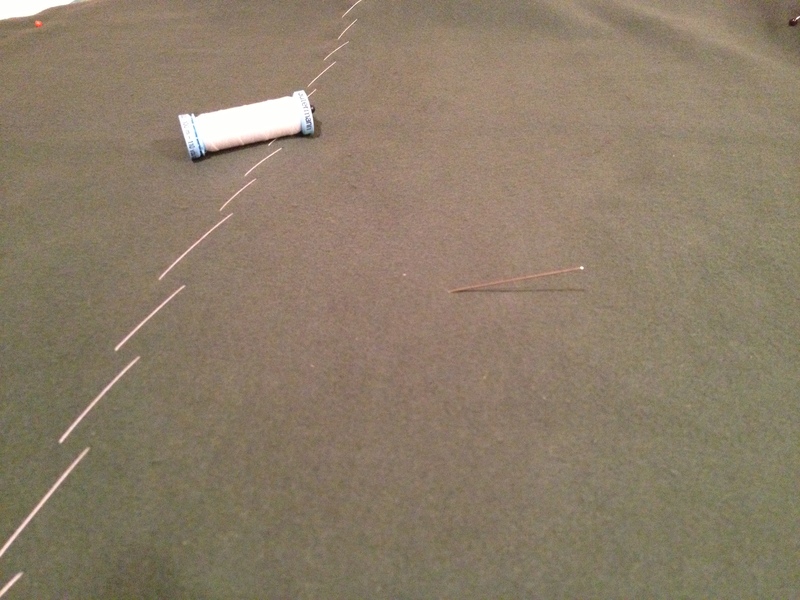 In any case; look for some binge sewing here on the blog when my Pfaff is repaired, home, and ready to sew!